Pittsburgh, February 8, 2012 -- Select International and The American Society for Healthcare Human Resources Administration (ASHHRA) will host an upcoming webinar spotlighting the approach to physician employment and the issues being raised by the trend. Taking place on Thursday, February 16 at 1:00 p.m. ET, the panel of presenters will examine the reasons behind the physician employment trend, the role of HR, and the practical and legal issues that come with these new employees. The panel discussion, "Dear HR Director, Meet Your New Employees' Physicians. Good Luck!" will address the growing trend of physician employment by hospitals. This trend is forcing hospitals to re-think the physician workforce - how they attract, recruit, select, engage and develop these highly paid, valuable employees. This trend also raises questions about the role of human resources, and the associated practical and legal issues. Maria Greco Danaher, Shareholder, Ogletree Deakins Law Firm. Greco Danaher provides guidance to healthcare clients on a variety of employment law matters, including the unique issues raised by physician employment. Robert Crossey, D.O., President, Premier Medical. Dr. Crossey leads the largest multi-specialty group in Western Pennsylvania and has held numerous hospital leadership positions. Samuel Agnew, M.D., President and CMO of Global Trauma Solutions. Dr. Agnew consults with hospitals and physicians on physician employment and is co-author of Hospital Employment of Orthopaedic Surgeons: a Primer for Orthopaedic Surgeons, published by the American Academy of Orthopaedic Surgeons. 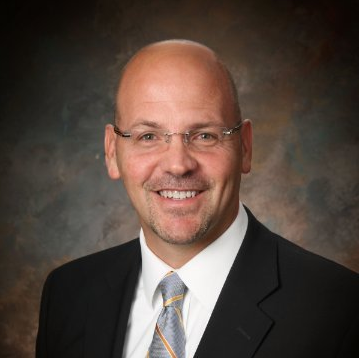 Bryan Warren, Manager, Healthcare Solutions, Select International will serve as moderator. ASHHRA is the nation's only membership organization exclusively dedicated to meeting the professional needs of human resources leaders in healthcare. The event's sponsor, Select International, is a global provider of employee assessments and hiring systems that help organizations identify, select and develop a strong workforce. Select International develops employee assessments and healthcare hiring tools to help healthcare organizations identify, select and develop a strong, productive workforce. The company?s employee selection and development solutions include pre employment assessments, executive assessment, online interview training, manufacturing assessment tests, healthcare hiring assessments, customer service assessment tests, and tools to help organizations hire safe workers. Select International works closely with its clients to improve hiring at all levels, and across all industries, including manufacturing, healthcare, customer service, energy, retail, transportation and logistics, and distribution. Select International is headquartered in Pittsburgh, PA, and maintains offices throughout North America and around the globe. For more information on Select International, call 1-800-786-8595 or visit www.selectinternational.com. © 2018 PSI Services LLC, All Rights Reserved.